$10,000 Getty Owl Grant for SMA Gene Therapy Research! ‘Tis the season for giving! Getty Owl Foundation is proud to announce its $10,000 grant to advance Gene Therapy research for Spinal Muscular Atrophy (SMA). This year’s grant makes a total of $30,000 in grants from Getty Owl Foundation for the SMA Gene Therapy Program at Nationwide Children’s Hospital in the past 3 years! Although SMA is the #1 genetic killer of young children, it is also the #1 disorder closest to cure of over 600 neurological disorders. This is important because it means one thing: HOPE! The SMA Gene Therapy Program is designed to use a viral injection to replace the single missing gene that causes SMA. Gene Therapy has proven to have great potential in lab studies. The studies show Gene Therapy may be a cure for SMA. Of all the SMA research in the pipeline, the potential for Gene Therapy is exceptional. Gene Therapy has so much promise, the FDA approved and fast-tracked a human clinical trial, which began in May 2014. Three infants have been treated in the clinical trial so far. The trial is continuing, and a second clinical trial for SMA Type 1 children is expected to begin in the first half of 2015. Thank you to our donors and supporters for your support, and thank you, Dr. Kaspar, for your dedication to the cause! Things are progressing nicely, but there is more work to be done. Please consider a year-end contribution to Getty Owl Foundation. CLICK HERE. Please join us for our Night at the Sacramento Kings on January 17, 2015. CLICK HERE. Please register for the 4th Annual Getty Owl Run/Walk on February 22, 2015. CLICK HERE. Learn more about Gene Therapy and the clinical trials. CLICK HERE. This will be Getty’s 5th holiday season. Looking back on the past gives us a chance to give pause for a moment to relish in the memories and milestones that our little lady continues to accomplish. As many other kids, Getty didn’t quite get the concept of Christmas and the whole Santa thing. Well she gets it now. Wrapped presents under the tree is very enticing for her now. I think she believes all of the presents are for her and I would have to say at this point, she is right. 🙂 She understands the tree and how we need to decorate it. This year it was obvious that our tree has become an owl tree. I never knew there were so many owl ornaments that you could actually decorate an entire tree with just owls, but I am here to tell you that you too can. 🙂 She understands family. She understands how much we all love and adore her. She understands that the world literally revolves around her and she takes that knowledge with such humbleness and grace. She is our present. We just got to open that package early on March 25th, 2010. 🙂 Ever since her birth she has been an absolute joy to be in the company of. Getty is an exquisite child that loves, teaches, and pushes us all to be better people. Her eyes show such a wise disposition. Although there are times that she uses her hierarchy to get her way, ultimately she communicates her love in such special ways to all of us. We all have important roles in Getty life. As caretakers, as mama and daddy, as grammie and Papa, as Miss Angie, as Aunt Patti, as big sissy Morgan and all of her friends and teachers. Her distant grandparents, uncles and aunts and cousins. We ALL play an extraordinary part in the growth of Getty. I say it time and time again. Getty is gift. She is such a special child that we all honor every day. No passing moment goes unnoticed. She surprises us everyday with something new. It is almost as though she has her bag of tricks and she slowly brings them out when we need them. A week ago we were listening to the song Noel. Well guess who busted out singing it? Not a dry eye in the room. Such a sweet little voice murmuring the tune and she was trying so hard to push out the notes with her little belly. So here we are on Christmas Eve. Our hope is that everyone has a chance to slow down and just enjoy the company of family and friends. No gift is more dear than a loved one. Hold them close and give a whisper of love. Here is to an already beautiful holiday season. Cheers! Winter Wonderland and the Nutcracker! First and foremost, lockdown is a very serious thing. Keeping Getty inside and away from public outings to keep her away from all kinds of germs and whatever is lurking, I truly believe has been our saving grace the past, almost five years. 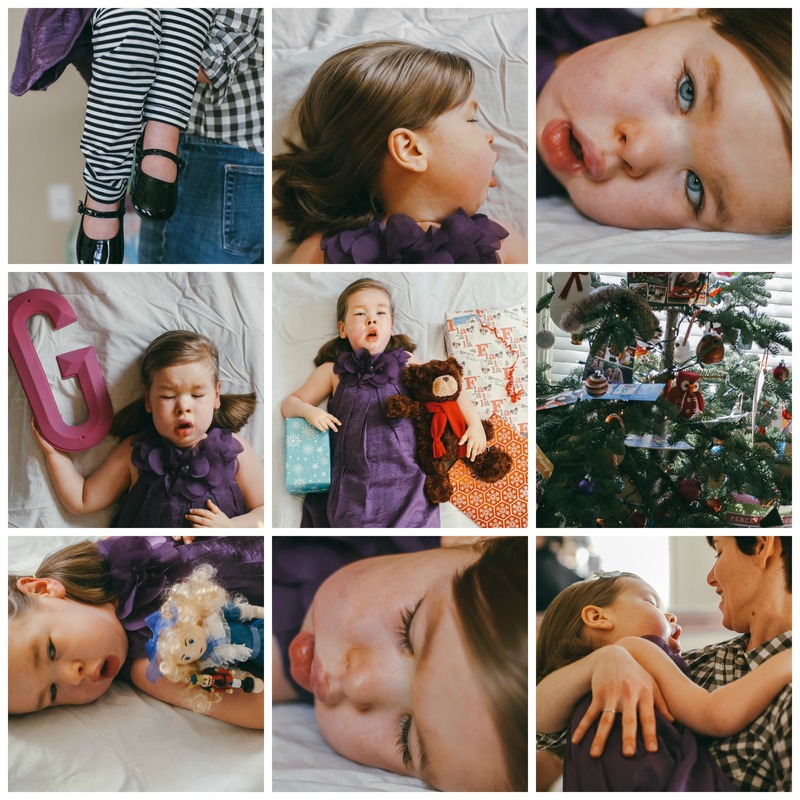 But as Getty gets older, we need to keep into consideration that she is almost five years old and we want her to experience certain things, and well certain things just happen to be during the worst part of the year. The time in which germs are bouncing about and a time that she could get sick. We are by no means careless, we are still absolutely vigilant in the germ department, but man, we did not want her to miss two really cool things. I mean two REALLY cool things. Let me give you some kind of perspective. In Getty’s first year of life, we left the house……..maybe four times and those were for doctor appointments. Her second and third have also been that infrequent. Illness is no joke over here and when you create a suitable wonderland in your house, it is easy to forget that there is an outside to be seen. I still have nightmares of when Getty was in the hospital at 14 months. I don’t want Getty sick and I surely don’t want to end up in the PICU. This is our normal. A common cold will turn into something bigger than we might not be able to handle and we try so hard to keep it at bay. So yes, taking her to out twice during RSV/sick season is risky, but look at Getty’s face and you can tell that this experience was so worth it. A few Saturdays ago, we took Getty to a Winter Wonderland light show. This was the first time I had driven Getty solo. Yes I freaked out, but there was a certain kind of calm to driving her. It gave me some confidence to be able to take her out on my own again someday. The light show was amazing! 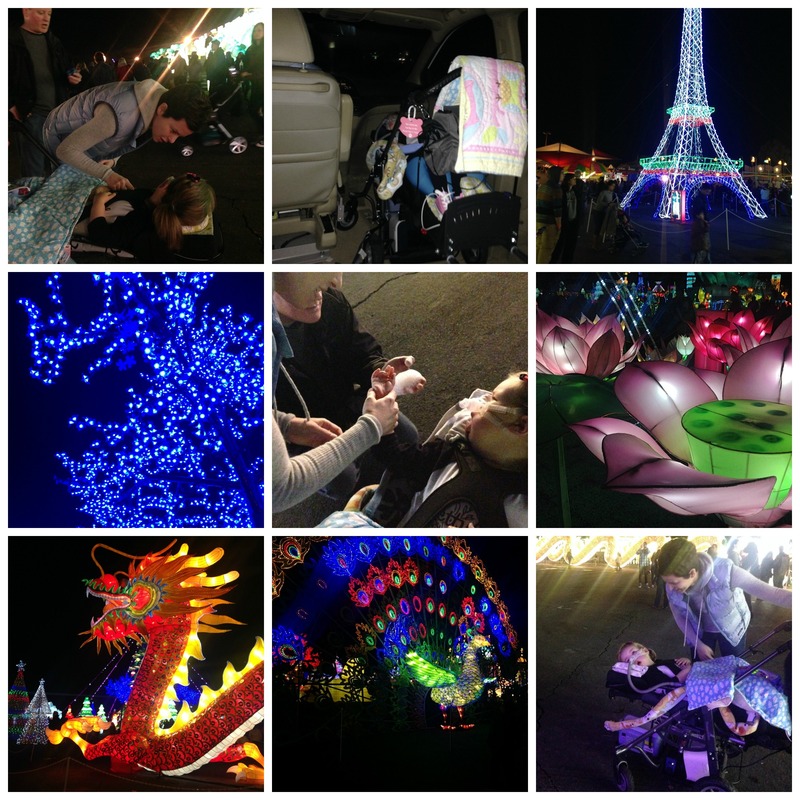 We strolled around Cal Expo for about two hours and I don’t think Getty made a peep the entire time. Her eye balls almost popped out of her head and she just seemed to be in an awesome trance of “OMG”! We were able take Getty really close to most of the exhibits. We needed to keep moving. Getty got rather fussy when we stopped to talk or gaze longer at some of the exhibits. I asked her whether she was having a good time and when we locked eyes, that was her way of saying, “indeed mom, now keep moving”! This trip was on the rather safer side. It was a public event, but it was outside. We both felt a little more comfortable having Getty out for a good two hours and making sure she was safe. It was a hit to say the least. Getty cried as we took our leave. We knew her time at the park was memorable, but we really should have stayed longer. When we got home and got her ready for bed, she was chatty as all get out. We are so glad we took her. The Nutcracker, we have decided will be an annual tradition. We took Getty last year and she had a phenomenal time. When you put dancing and music together, you have one very happy kiddo. I found a beautiful holiday dress for the little lady to wear. I thought it would suit the occasion. Getty is very perceptive. If she senses anything different in the day or if I am nervous for any reason she will not nap. Even if she is tired, she will perk up because she knows something is coming. So everyone in the house could not talk about the upcoming Nutcracker for a few days. We could not talk about what day it would be or what time. She is such a sleuth. 🙂 We needed her to sleep because the performance was at 7pm and she needed a hardy slumber before the festivities began. Well the Nutcracker did not disappoint. Getty loved it, the performance was amazing and everyone at the theater was so accommodating to our needs. Even though it was another public outing, this one was a closed building and while it gave us some uneasiness, the look on Getty’s face the entire performance, reassured us that we were doing the right thing. This was something we needed to do. So we will continue to come to the Nutcracker every year and we will find just the right dress to celebrate the holidays and a special outing. It was so worth it. So incredibly worth it. As the holidays grow closer we realize even more that we are so fortunate to have Getty happy and strong. She is a beacon of light that permeates throughout the house and inside each of our hearts. She is a force. She is one beautiful force of love. Dutch Bros. did it again………..you guys are AWESOME!!!!!!! To explain how incredibly excited and humbled we are would just not do it justice. Owners Steve and Nikol of the Sacramento area Dutch Bros. are just phenomenal people that make a difference in our community. We are so thankful to be chosen for Buck for Kids this year again. What an incredible opportunity to fundraise for families affected by SMA as well as for SMA research. On December 5th, generous people stopped by and purchased yummy drinks, with $1 of their drink was donated to Buck for Kids. 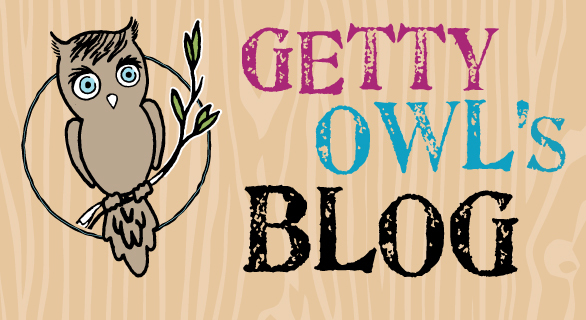 Drumroll……..Dutch Bros. raised $3601 for Getty Owl Foundation. If you are not already a customer of Dutch Bros., please become one. If you are a loyal customer, thank you and please stop by their locations as often as physically possible. You guys are awesome and your staff is equally amazing. Dutch Bros.-Buck for Kids this FRIDAY! Three things. Dutch Bros and owners Nikol and Steve are just good company/people. Simple as that. Getty Owl Foundation was chosen again this year to be the foundation for their Buck for Kids program. This Friday, December 5th come by one of the three Dutch Bros. and buy a drink. $1 from each drink will be donated to Getty Owl Foundation. Now you understand why I say awesome. When a good company and wonderful people get together, magic happens and we are so thankful to be on the receiving end of this incredible generosity. If you stop by please tell them they are simply awesome! They do so much for the community and they should be rewarded with copious amounts of praise. Thank you in advance for stopping by. They will be giving out SMA fact cards as well. Let’s keep educating one person at a time.